Venue for Oct. 6 event was no longer available for this year’s participants. 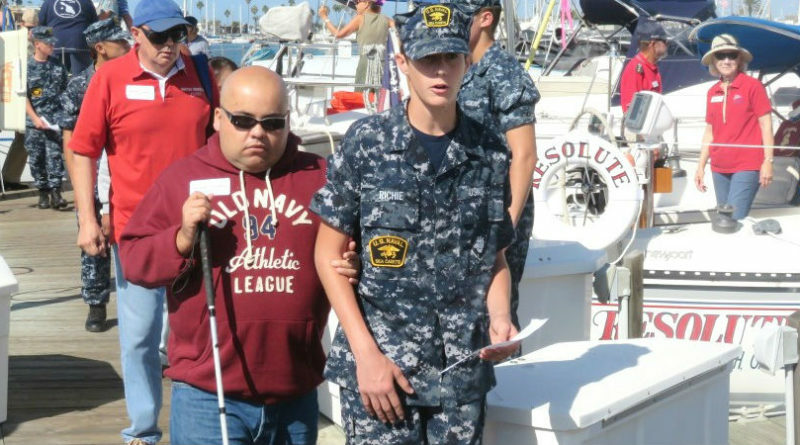 ORANGE COUNTY — It appears this year’s Sail for the Visually Impaired, or SVI, will be canceled, according to organizers. The venue traditionally used as the home for the annual SVI won’t be available to organizers, according to a statement sent to The Log by Doug and Melanie Green on behalf of the Women’s Sailing Association of Orange County, or WSA-OC. This year’s sail was scheduled for Oct. 6. WSA-OC, with the assistance of the American Legion Post No. 291, American Legion Yacht Club, Lions Club and other local service organizations, has put on the SVI sailing event for the past 28 years. The Greens stated the event, which takes blind visually impaired individuals out onto the water to take the helm of a sailboat or trim the sails, would return in 2019. Bonnie Gibson and Bobbie Reed launched SVI as part of WORSA (which became WSA-OC) in the late 1980s. Braille Institute students, veterans and other community members have since actively participated in SVI.